Gordon came to Christ at nine years old. 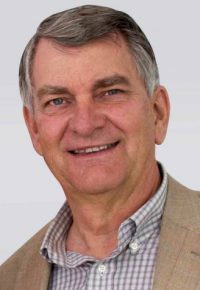 He has spent 14 years in the oil industry, 4 as a self-employed business consultant, 18 as the Financial Administrator of the Archdiocese of Wellington, and served two terms as a Member of Parliament. 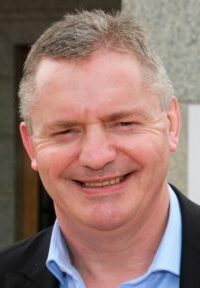 Currently Chair of the Council of Wellington Churches, Gordon has been a long-term leader in outreach helping organize the 1972 “March for Jesus” which saw 25,000 Christian’s come together in Parliament Grounds, leading the ‘Capital Crusades’ in 1980s, ‘Encounter Jesus’ in the 1990’s, and coordinating “Celebrate Jesus 2000” – an ecumenical event which saw 28,000 people come together in the Wellington Stadium. He remains deeply involved in evangelization. He married to Anne and they have 5 children,10 grandchildren and 5 great-grandchildren. Jay Ruka has worked in full-time Christian ministry since his early twenties, as a youth mentor, mission director and church minister. 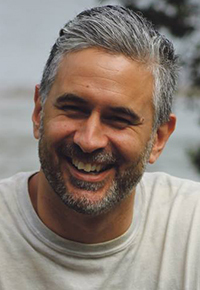 He is currently employed as a story-teller, producing resources and speaking itinerantly into topics of culture, Christian faith and New Zealand missional history as it relates to how the gospel interacts with the Māori world. He communicates a vision for the future of Aotearoa, highlighting the significance of Te Ao Māori and the beauty of cultural partnership. Married to Erin, they and their three children live in Whaingaroa (Raglan). A known evangelist, author and equipper, Tony has previously led OAC nationally, spawned a successful house-church planting movement overseas, planted house churches in NZ, and more recently founded a local church called the Hope Centre in Levin. With proven experience as a hands-on practitioner in multiple fields, Tony brings highly practical and motivational insights into the areas of missions, evangelism and prayer. 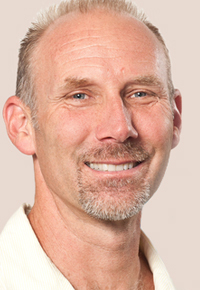 David is senior pastor of Changepoint Tauranga, and a widely-recognised encourager in the body of Christ. His passion for the city of Tauranga has led him to be integral to many city-wide initiatives there, and a passionate advocator of prayer. His passion for the gospel has led him to initiate and support many efforts in the city — demonstrating a true Kingdom perspective, where others might stay committed only to their own church’s activities. He has a big heart, and will bring forward-looking perspectives that can bless many! 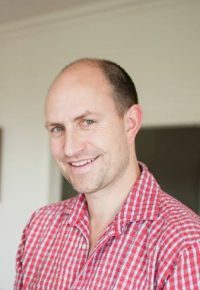 Joseph Bulbulia is a Professor in the School of Humanities, Faculty of Arts at the University of Auckland, where he was appointed the Maclaurin Goodfellow Chair in Theological and Religious Studies in 2018. 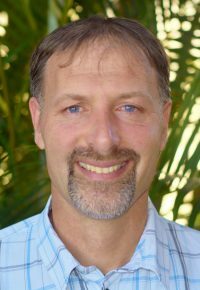 He was formerly a Professor at Victoria University of Wellington (2000– 2017), and is regarded as one of the founders of its contemporary evolutionary religious studies. In short, he’s a facts man about religion, and how it affects peoples lives and society, and could bring a valuable ‘reality-check’ to our thinking about the spiritual temperature of our nation. The Baptists are the largest attending denomination in New Zealand, and have traditionally been strong with families and children. But in recent years the attendance of children began to decline. Karen, who is the National Team Leader for Baptist Children & Family Ministries has responded by bringing these issues to the light, and is leading with courage and tenacity to find solutions. We look forward to her input and insights at conference on how our churches might better engage with children in these changing times. After Social Work and Psychology studies in Canterbury (NZ) she worked in London with child soldiers from Sierra Leone, and asylum seeking youth from countries including Afghanistan, Kosovo, Eritrea, Nigeria, Rwanda and more. 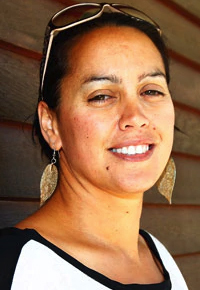 As her innovative spirit kicked in, she ran community engagement and restorative justice programmes in Brixton, and then -back in New Zealand, has worked with young men in prison, managed Māori Student Support Services at the University of Canterbury, been Lead Project Manager for a high-level Government youth and community transformation initiative, and is the founder of INDIGI-TALKS. A well-respected communivator to schools, churches and in government ministerial meetings, Jade is married to Te Uri Karaka, and ahs two young children, being based in Te Awamutu. Luke and his wife Marilyn pioneered Elim Christian Centre in Howick in 1985, and are proven as strategic visionaries who know how to build teams. The church has since grown to become a large multisite church meeting in five locations with over twelve thousand five hundred members. A feature of the church is its focus on education; with a Pre-school and Kindergarten, its school Elim Christian College then meets in three campuses with, while Elim Leadership College has a distance learning internship program with sixty five students. John move to New Zealand from the UK 10 years ago. Now in his second pastorate, John has been seeking to embrace a radically missional approach to church, exploring what might happen when mission starts with prayer and community – instead of a local church. 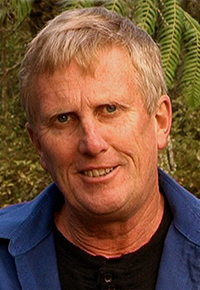 Amongst all this John has been involved in the planting to two new faith communities on local marae, and has become deliberately involved in community bodies including the Māngere-Ōtāhuhu local board, the local leisure centre, a community youth provider, mana whenua and Māngere’s Māori Wardens. 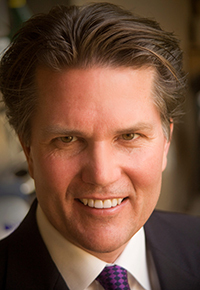 Mark is a well known business person, having formerly been CEO of the Warehouse Group. He is also a qualified pastor and theologian, with a bachelor’s degree in Applied Theology from Carey, and an MA in Christian Apologetics from Biola University in the USA. 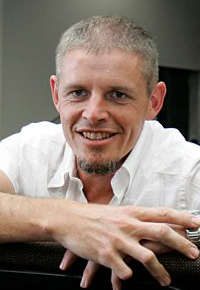 Mark speaks regularly in churches and conferences throughout New Zealand, including a credited course in Apologetics as part of the Theology Degree at Carey Theological College. 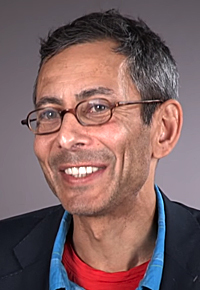 As Chairman of Premise Media, Logan created the film “Expelled” in an effort to expose the blacklisting of academics who question the prevailing Darwinian dogma. Hailed as the most screened movie-documentary up until that time, the impact was significant – as also was the reaction of the Darwinian community. Millions were then spent in court (defending against three lawsuits from Yoko Ono, EMI Records and Harvard University) in an effort to protect their freedom of speech in making a movie about the freedom of speech. Logan is a visionary and highly strategic thinker and pioneer, a businessman, an academic, a church planter and pastor, TV presenter – and more. He and his wife Barbra now live with their two daughters in the Bay of Plenty. Geoff is a senior lecturer and programme director of Religious Studies at Victoria University of Wellington. His work focuses on issues relating to religion in the modern world, and various aspects of religious change. 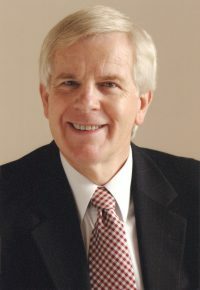 He has written extensively on Christianity in New Zealand’s history. He lives in Karori, Wellington with his wife Adrienne and their four rapidly-growing children. In 2008 Luke felt the call of God to preach the Gospel and ever since he’s been reaching youth and young adults with the message of Jesus. He’s passionate about raising up a generation who are unashamed of Jesus, unashamed of His message and unashamed to live it. Luke and his wife Jess have two children and live in the Waikato. 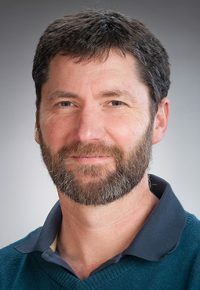 Todd’s science background (BS Biological Sciences University of California Irvine) has given him a love, curiosity and passion for the natural universe which often surfaces in his messages especially his special messages: “The Darwin Delusion” and “The Testimony of the Heavens”. Not only does Todd have passion for sound apologetic teaching, he also endeavours to help men rise to their God-given potential as men, husbands and fathers. 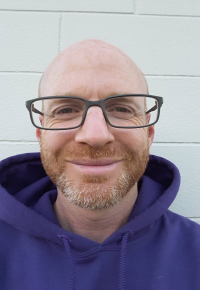 Todd has been involved in men’s ministries and accountability groups for over 15 years and is currently the Director of Men’s Ministry at Harbourside Church. Jono has been with Coast Youth Community Trust (CYC) for over 10 years, and in the role of team leader since 2014. Their work follows the 24/7 Youth Work model. Working closely with the staff of Whangaparaoa College, Jono endeavors to create a positive environment for young people both in and out of school, mentoring, caring, coaching, teaching and at events. Norman has a range of experiences in his background including farming, business, teaching, theological studies and chaplaincy. He is also a key member of the Hope Project team. Norman is a remarkable practitioner of conversational outreach, engaging conversations in a natural manner in a wide range of places. In this regard, he is a pioneer – and many will be encouraged and helped by hearing some of his ‘every day stories’. God is at work! Norman is married to Barbara, and they have two grown children, and four grandchildren. 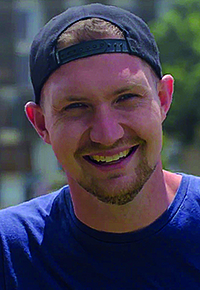 Lew (Lewis) Meyer is the current National Director of OAC Ministries.​ He is married to Angela and they have three teenagers. 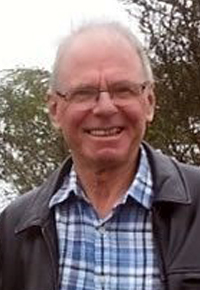 Lew has a background in science (BSc) and Biblical Studies (New Zealand Assembly Bible School). Lew is an experienced communicator to all ages, bringing 35 years of experience of communication through camps, open air, Bible teaching, formal debates and Tertiary lecturing on cults, religions and evangelism. He has produced number of topical DVD series and written numerous small books to educate, empower and inform. Robin and his wife Donna, have worked as communicators and coordinators with short term overseas mission, community outreach, youth camps, and programmes for youth/children at risk. While Robins career has been varied – including working with OAC Ministries, the hospitality industry, as an electrician and more recently in IT, through it all one of his greatest gifts has been clear communication with people of all ages. His playful nature enables him to hold captive an audience, while bringing a message to life. He and Donna teach skills and principles for working with children/youth, while mentoring those involved in this area of ministry. Stuart has been in full time outreach ministry for over 20 years, and is a pioneer in contemporary evangelistic methodology. 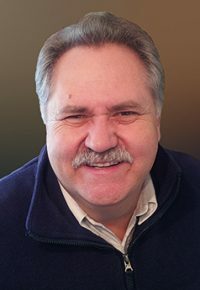 A passionate itinerant preacher and equipper, he loves working with Pastors to help them empower their members to share faith in a jargon-free, relevant and appropriate way. He created the Gospel in 7 App (G7) that is now being used by Christians around the globe to share faith. In 2005, Stuart and his wife Maria moved from New Zealand to Australia to found Train to Proclaim Inc. They have four children, and reside in Brisbane. 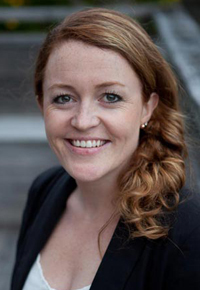 After working in both accountancy and human resources, Aimee joined CAP as a volunteer in 2008 and never looked back. She loves seeing churches equipped to live out their faith by serving the most vulnerable people in their communities. 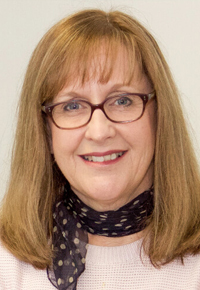 She now leads Christians Against Poverty NZ (CAP), and is passionate about releasing people in our nation from a life sentence of debt and poverty, while being very-deliberately interested in their holistic wellbeing also – including the spiritual side. Aimee lives in South Auckland, with her husband Ben, who just happens to be the Network Partnerships Director. Having come to faith in Manukau City Baptist – Alistair stuck around so long they made him the lead pastor. 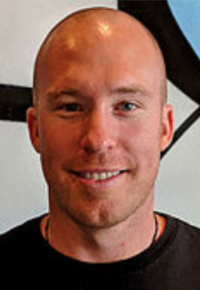 Married to Aly with three kids, Arnie (as he is commonly known) is also an ex-accountant (and trying to keep it that way), intermittent runner, regular coffee drinker and lists Waihi Beach as his favourite place on Earth. In leadership, he’s a uniquely intentional missional leader, with a strategic focus on seeing every member intentionally equipped and mobilised in their witness to their community. Dave is the Coordinator of Engage Conference. A national networker, speaker and author, Dave has a passion to see our nation’s Christian heritage being valued more highly in the public square, in recognition that it is both our heritage, and the source of our most treasured values as a nation. He believes that Christian believers need to engage more within society, and is engaged in a number of strategic initiatives and innovations, all working toward this goal. 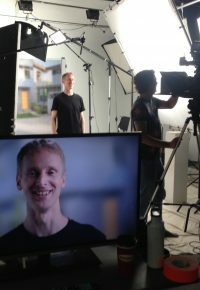 The Shining Lights Trust is most well-known for the Hope Project, which has been returning Christian messages to the public square via national media at Easter. Dave is married to Heather, and together they have four boys, and reside in Tauranga. 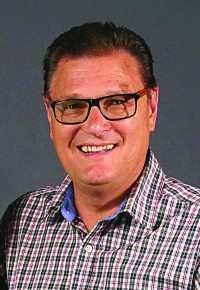 Colin and Grace have been involved in City Ministry for nearly 30 years – following involvement in a move of God that took place in Toowoomba, Australia. Through unity and prayer, with innovation, God moved in the city – and the city has been known as a ‘spiritual hub’ within Australia to this day as a result of the longer-term changes and unity that resulted. 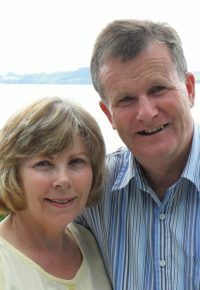 Colin and Grace – both originally of New Zealand, have traveled extensively within NZ over the past two decades, meeting with and encouraging city pastors’ groups through days of prayer. They now reside in Wanganui – while continuing connections with many pastors’ groups nationally.